Illinois Law dean and professor Vikram David Amar describes two lessons we should take away from the Senate’s processing of President-elect Trump’s nominees for his Cabinet. First, Amar explains the constitutional difference between executive and judicial appointments. Second, Amar explains the relatively long time between the end of the election and when the president-elect actually takes office, and also proposes a way to reduce this period and ease transition. Illinois Law dean and professor Vikram David Amar proposes a solution to the problem of the “faithless” elector—a person who pledges to vote in a particular way but then who wants to cast his or her electoral college vote in a different direction. 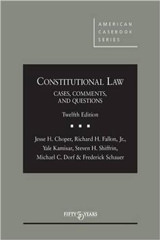 Amar provides specific language that states could implement as law to address these rogue individuals whose actions could alter a presidential election result. 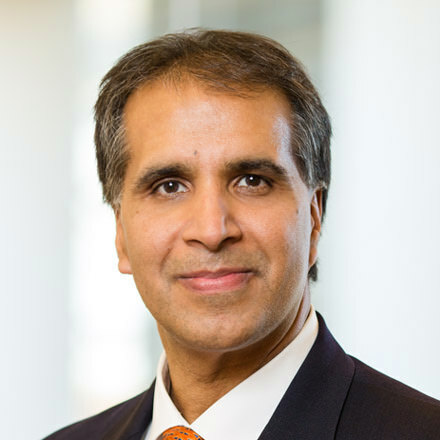 Illinois law dean and law professor Vikram David Amar describes three takeaway lessons from FBI Director James Comey’s decision to comment on the ongoing Clinton email investigation a second time. Amar argues that (1) with respect to investigators, sometimes less formal independence means more latitude to act out, (2) the FBI director should not operate outside of DOJ bounds, and (3) the DOJ policy of not commenting on ongoing investigations arises from the Constitution. Illinois Law dean Vikram David Amar and California civil litigation attorney Michael Schaps address two common misconceptions about the relationship between criminal law and politics that recently arose in the presidential race. Amar and Schaps explain first why the presumption of innocence does not apply to politics, and second, why the president actually does have the power to order prosecutions. University of Illinois dean and law professor Vikram David Amar takes an early look at Gary B. v. Snyder, a case recently filed in federal district court that addresses a child’s fundamental right to literacy. Amar explains how the timing may be ideal for a case of this nature, should it ultimately reach the Supreme Court, since the Court seems increasingly willing to recognize new liberties not mentioned in the Constitution, among other compelling reasons. 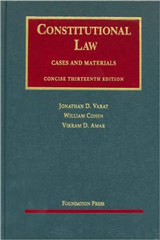 Illinois Law dean and professor Vikram David Amar and U.C. Davis Law professor Courtney Joslin discuss a recent decision by a federal district court in Texas issuing a nationwide order regarding bathroom access for transgender students. Amar and Joslin explain why the order almost certainly oversteps that court’s authority without providing any reasons or analysis to justify its overbroad relief. 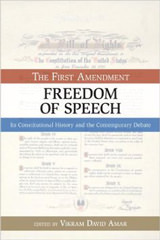 University of Illinois dean and law professor Vikram David Amar comments on a recent case that highlights the challenging nature of California’s attempt to protect free speech through its anti-SLAPP statute. Amar describes the background of the case as well as the larger problems that arise when applying the Anti-SLAPP law to discrimination and harassment lawsuits. Donald Trump’s Criticism of Judge Curiel Was Racist, but Precisely How? Dean and law professor at Illinois Law, Vikram David Amar discusses Donald Trump's public criticism of Judge Gonzalo Curiel, who is currently presiding over the federal fraud lawsuit against Trump University. Amar weighs Trump's arguments as to Judge Curiel's purported bias toward him against what is known about Trump's own tendency to personalize disagreements without cause. Amar argues further that while some opinions are in fact formed as a result of one's ethnicity and experiences as a racial minority, this does not apply in the present instance for a number of reasons, each of which Amar explores in today's column.